I don’t often return to the same place when hosting retreats, but Puglia is different. Last April I hosted a retreat at La Rosa dei Venti, an Italian ashram in Martina Franca, Puglia. 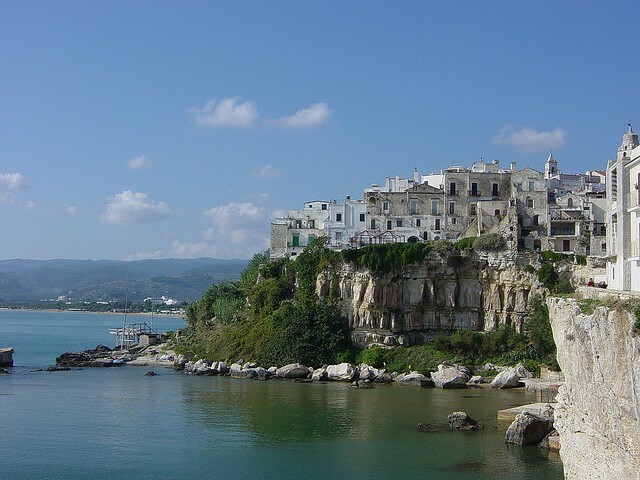 I was shocked and very pleased to discover after many trips to Italy what beauty and culture fills Puglia. after the week’s retreat, I immediately reserved the La Rosa for the following year. How could I go without the food, culture, atmosphere of Puglia? I had to return. David Elliot, a travel writer expels his thought on Puglia. Have a read and see if you can resist Puglia! If you’re looking for a great place to head for in the car this season, Puglia in Italy is probably one of the best destinations to consider. This is Italy at its most rural and richly enticing, with wide roads and majestic views making it ideal for a road trip, stopping off at guesthouses and farms along the way to sample the delicious local produce. Cheap car hire is readily available across Europe these days and a group travelling together can both save money and have a fabulous time by hitting the Puglia roads for a fun break. Puglia is the area covered by Italy’s pointed heel, in the southwest of the country. It’s mainly bordered by the Adriatic but in the southern part, the Ionian Sea laps its shores and the beaches are majestic. It is one of the largest provinces in Italy and has a very wide variety of landscape and architecture, so there’s no danger of getting into a tourist rut if you have the freedom of the open road here. In medieval times the Crusaders used Puglia as their embarkation point for adventures in the Holy Land. They boarded ships at Bari, the biggest city here, and continued on to Brindisi, which still has ferry links with Greece, 100 miles away. From there they continued on to Constantinople where they generally caused a nuisance until the Byzantine emperor was able to send them packing to Jerusalem. The whole of this largely flat and fertile area is littered with old and irresistibly romantic ruins. The remains of Swabian castles and Norman churches stand like Romanesque beacons and reminders of a lost age of chivalry amongst the abundance of olive groves and wheat fields. When Rome finally collapsed the emperors of the East turned Bari into a regional power base, and later on Frederick II, last of the really great medieval rulers and Holy Roman Emperor, lived here, so there’s no shortage of history in these parts. The distinctive beehive trulli houses are characteristic of this unusual landscape, and there are also more flamboyant baroque structures to be seen in the larger towns, reminiscent of southern Spain, and in fact an Eastern influence is never that far away because of the varied cultural heritage. The landscape of Puglia is sparsely populated because the majority of farmers here live not on their farms but some distance away in farming towns, and do a commute each morning to their workplaces. Many of the towns look rather ugly from a distance, as they tend to be effectively disguised on their outskirts by monotonous blocks of flats. However, if you pull off the road and head deeper into them they reveal some often startlingly attractive centres. They all generally have an old town core, or tro storico, which is, in the majority of cases unspoilt and magical. 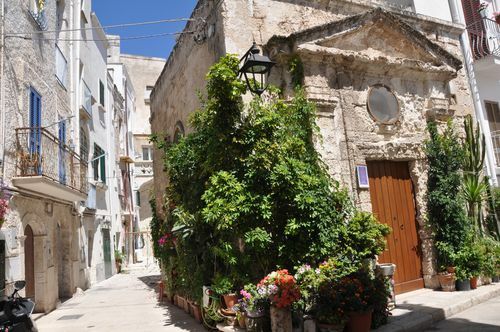 These previously little-known towns of Puglia are in fact the chief delight of the region, and a hire car is certainly the best way to explore them. David Elliott is a freelance writer who loves to travel, especially in Europe and Turkey. He’s spent most of his adult life in a state of restless excitement but recently decided to settle in North London. He gets away whenever he can to immerse himself in foreign cultures and lap up the history of great cities. Written in conjunction with carhiremarket.com.